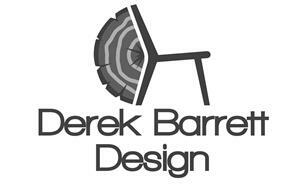 At Derek Barrett Design I believe the process of creating exceptional furniture begins and ends with a close and careful understanding of my clients desires and functional requirements. Only by combining this understanding with my commitment to quality and craftsmanship can I then create a truly bespoke piece that perfectly fits to your Vision. I feel bespoke means made to measure and many houses are not standard and come with an array of unique issues like sloping floors, walls and awkward niches. Bespoke Kitchens, Wardrobes, Studys, etc are designed and made to the exact shape of your space and take all your room's quirks into consideration meaning you get the most out of your space. Thanks to my many years of experience in providing versatile solutions in bespoke timber construction, technically demanding installations and project planning, I'm in a position to offer you a truly exceptional level of service. I pay close attention to the quality of my work and am passionate about every new item I build, designed to your specifications. I also offer a fitting service, so feel free to get in contact with your requirements.